You've Decided to Paint Your House - Now What? You’ve decided it’s time to make an improvement to your home, and paint is the perfect choice. No other renovation can dramatically change the look and feel of your home, while being completed in a reasonable time frame and under a reasonable budget. So painting it is – but where do you go from there? This article is meant to guide you through the process of completing a home renovation painting project. It will take you from your initial considerations, to finding and hiring the right contractor, to the actual painting process, to what you need to do to keep your paint beautiful for the long term. No matter what part of the process you have questions about, you’ll find the answers below. The first thing you need to do is answer some questions about where you want the painting done and how much work you want to complete. The idea to paint might have started with a realization that the living room paint is chipping and could use a new coat, but is that the extent of your project or does it make sense to expand? Often times the rooms of your house are painted at the same time, so if you’re noticing wear in one room, it’s only a matter of time before other rooms start to follow, in which case it might make sense to paint them now. 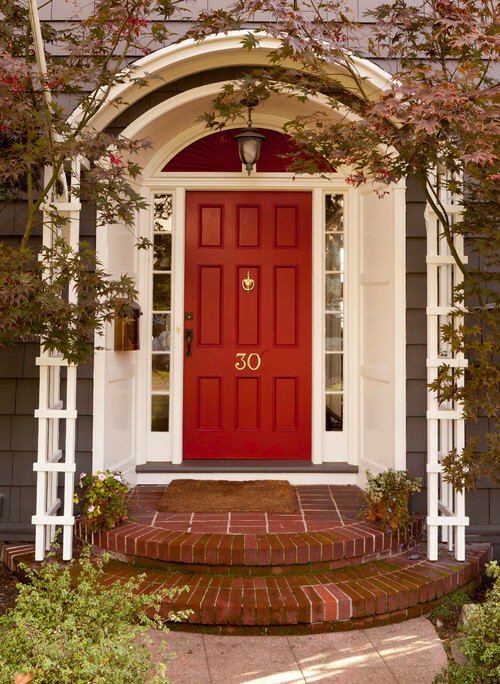 There are also other considerations to take into account: does your trim need new paint? How about the ceiling? The condition may look okay now, but when compared to new painted walls, the imperfections may stand out. The same goes for exterior paint, where you also have to consider whether the porch, the door, the shutters, the garage, etc. should be painted too. To define the scope of your project, give your home a thorough inspection, room to room, inside and out. Take notes on condition and write down all the areas you’ll want painted. If you’re worried about your budget, make a two part list of the things you need to paint now and the things you’d like to paint if they are also within budget. Before you move on to finding a painting contractor, it’s a good idea to think about the look you’d like to achieve with the new paint. Are you going to keep things the same, or make a dramatic change? Are you looking to brighten up the room, or to tame the colors down? Do you have a particular design style you admire, such as traditional, modern or rustic? Thinking about WHY you decided to paint in the first place is often a good way to direct the project. Then you can get inspired by searching online, flipping through magazines, watching home improvement shows, getting advice from friends, and even browsing Pinterest. It’s important to note that getting inspiration is not the same thing as picking the exact colors that you will use. If you do decide on colors at this point – good for you! However, you can decide on these specifics down the line, and painting contractors often have professionals who can help you choose colors so you may want to wait and get help from an expert. Getting inspiration at this point is more about deciding the look, feel and vibe that will drive the painting project forward. One of the most important parts of the process is finding the right contractor for your project. It’s typically a big mistake to choose the first contractor that you find. Instead you’ll want to do some research to gather a pool of potential candidates to see who can prove themselves in the estimating/hiring process. Online searches to see which painting contractors come up for your area. Using Yelp, an online review website, to locate potential contractors. 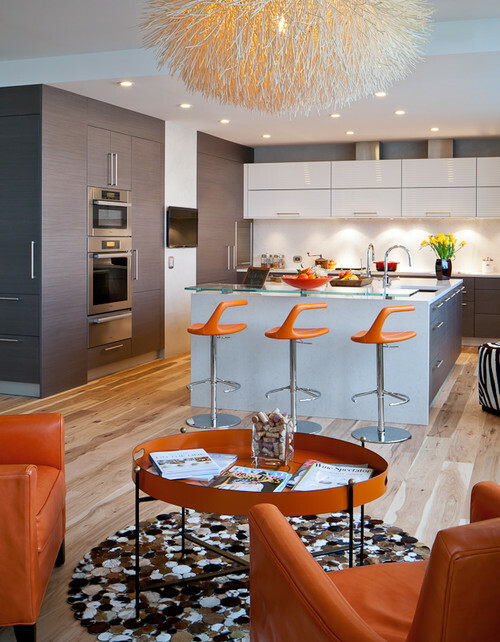 Searching the Find Pros section of Houzz, a website devoted to home improvement and remodeling. Looking at ratings and reviews for painting contractors in your zip code on Home Advisor. Checking out the company’s rating with the Better Business Bureau. Browsing the company’s own website to check for other reviews and to assess the overall quality and professionalism of the company. Checking local directories for contractors. Each of these methods of finding a painting contractor will help you evaluate what other people are saying about the company. Are they reputable? Do they do a good job? Would their past customers recommend them? Evaluating ratings and reviews from all of these sources will allow you to create a pool of candidates who you can request estimates from. From the narrowed down pool of choices, it’s time to contact each one to see who will be best for your painting project. Do you charge for labor at an hourly rate or fixed price, and how much is it? How many employees do you plan to have on the job? How much will materials be and what kind of materials/paint do you use? Do you offer and guarantees or warranties on your work? What things are and aren’t included, in terms of work that will be performed? What is the project timeline? Estimated start date? By learning more about the estimating process you will understand why estimates differ from company to company. Usually with a little investigation you realize that the lowest estimate is not necessarily the best deal. Do they have the proper licenses required for your area? Do they carry full insurance? Do they have a portfolio of past work for you to view? How do their ratings and reviews hold up against the competition? Do they assist with colors – helping you choose the right colors, mixing custom colors, etc.? Are they friendly and professional when you deal with them, from the initial phone call to the estimate to any other points of contact? Taking these things as a whole, you’ll be able to find the contractor that offers the best overall package for your painting project. If you didn’t select colors in the “Get Inspiration” phase, now is the time to think seriously about the colors you want to use. As mentioned before, you may get help from a professional colorist with your painting company. This is an expert who can help you choose the right colors based on your neighborhood, home style, the other rooms in your house, the lighting, and more. Consult the color wheel: The color wheel will help you learn more about colors including which colors work together, and it will help you narrow down your favorite color options. Consider shade: Once you narrow down the color choices, consider if you want to go light to create a bright and airy feel, or dark to create a bold statement. Lighting: The lighting of the room will determine how the color will actually look on the wall. Rooms that have a lot of natural light will show true color; fluorescent lighting will cast a blue tone; and incandescent light will bring out yellow/warm tones. Paint finish: Paint finish refers to how glossy the surface is. Paint finishes range from flat (no gloss/shine) to semi-gloss and high-glosses that have a noticeable shine. The shine makes the paint easier to clean, so gloss is typically used in kitchens and bathrooms, whereas bedrooms, living rooms and offices typically use a less glossy paint (satin or eggshell). Check the neighborhood: Particularly for exterior projects, you’ll want to choose a color that works harmoniously with the style of the neighborhood. Other rooms: You’ll want to pay attention to colors of other rooms, especially adjacent rooms, to make sure the colors work well together. Furniture and décor: If you’ll be keeping the same furniture and décor, make sure to compare your color next to these design pieces to see if the color makes sense. Mood: Are you looking to achieve a specific mood for the room? Look into how color impacts mood – for example, how yellows create an inviting, social space and blues create a relaxing space. Personality: Don’t be afraid to let your personality shine through. This is your home, and your color choices should be a reflection of your personality. Choosing a color is difficult, but it’s also very rewarding. Get opinions from friends and family members, and also consider trying digital tools that allow you to import your picture and ‘try on’ different colors. Two options are the Benjamin Moore Personal Color Viewer website, and the Sherwin Williams ColorSnap app. Prepping the area: Taking down wall hangings, moving furniture, cleaning the surface, protecting the floors, taping areas. Priming:Priming is the process of putting a neutral white, specially-formulated paint on the surface before adding the colored paint. Priming is not always necessary, but there are many reasons why your contractor may suggest to prime before painting. Painting: Actually putting the paint color on the wall, which sometimes requires applying multiple coats. Clean up: Cleaning up the workspace, reinstalling wall hangings, moving furniture back, removing tape. The painting process may also include special considerations for pets and children, for example, blocking off the area to keep them out and keeping paint and supplies out of reach. It’s hard to give a general answer to the question of how long it will take for your painting project – it will depend on the size of the room, special considerations (such as priming, extra coats of paint, extra preparation requirements, etc. ), and the speed of the workers. When you get your estimate, the contractor should be able to spell out a project timetable, including when work will start, how the project will run, and an estimated completion date. The good thing is that if you choose a professional contractor who knows what they are doing, they should be able to minimize any disruption to your household. For example, some painting (such as cabinets) can be handled off site, and a good painting company will keep a neat workspace and clean up every day. Cleaning: Keep your walls and other painted surfaces clean with periodic maintenance. Use a soft cloth or sponge and a mild soap to wipe down walls and other surfaces. Cleaning periodically prevents built up dirt that can be harder to clean (and can lead to paint chipping as you try to clean it). Touch up: Over time your painted surface may get a scratch or chip. Unfortunately it is hard to get touch up paint to match the wall color, but you can do your best by keeping a can of the original paint and diluting it by 5-10 percent. There are DIY instructions online but you could also consider calling the paint company, moving furniture/décor to block the imperfection, or just living with it until your next major painting renovation. During your estimate and when you do the final walkthrough, you should also talk to your painting contractor about any guarantees or warranties they make. Some companies offer exceptional warranties on both the professional workmanship and materials, as well as scheduling annual inspections to keep your painted surfaces looking beautiful. Painting is an involved process, but it is one of the best home improvement projects to completely transform the look and feel of your home. This guide should answer all your questions and help you navigate the process with ease. For over 25 years, our company has been providing professional painting services to San Francisco, East Bay and Contra Costa Counties. If you're a home or condo owner looking to beautify or restore your property, call us to request a free estimate at (510) 655-7000.